For those out there that will only play DVDs from your own region don't worry about the information on this page. This really only affects people that collect DVDs from other parts of the world. For most DVD users you will want to play locally produced discs. When considering playing DVDs from other regions remember that the video output format is important. 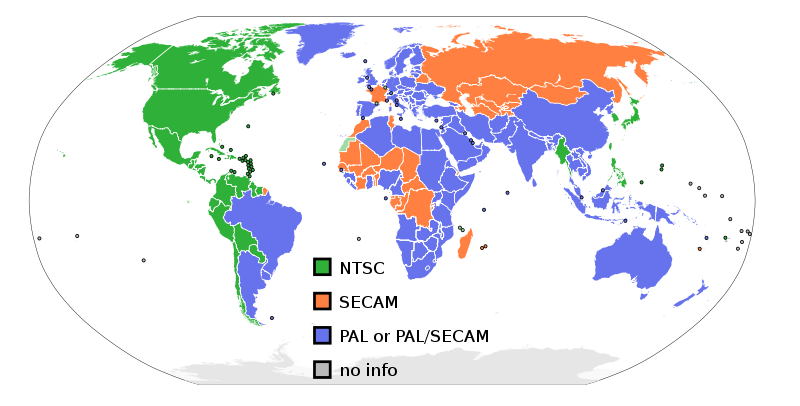 Please review the sections on PAL and NTSC for more details. Please Note: Some DVD players have an internal switch setting that allows you to choose the country code. Others have this option hard coded. You may find a lot of advice in newsgroups as to how to by pass this feature. Just be aware that this will always nullify your warrantee. I don't track hacks or modifications. You may want to try a site that specializes in these things such as DVD Region Hacks. Again, please be warned, you can ruin your player if your apply any unauthorized modification to your DVD player. You can try contacting the manufacturer they often will help. In fact the best way to go is to just spend about $80 and invest in a region free player. I did so recently and not only does it play DVDs from any region it outputs upverted 1080p video through HDMI which takes care of the video format incompatibility. it even has a USB input to play video files. it's a great value and will not ruin your warrantee . If you have an account with Amazon you credentials work with Amazon.co.uk. they even do the currency conversion so you can use your regular payment methods. One more note: Just because a DVD is coded for a specific region doesn't mean it will play in all countries assigned that region. There is the added layer of incompatibility imposed by the great and wonderful powers that be. You also have to make sure the video formatting is the same. For example, both The UK and Japan are included in Region 2. Unfortunately, UK users the PAL video formatting while Japan is NTSC. In order to play a disc intended for the UK in Japan you will also have to have equipment that recognizes the video format. There are converters that will permit the mixing of PAL and NTSC so if you plan on using discs from different countries consider investing in such an additional box. Technically speaker there is no such thing as region zero. This is a designation used to indicate that a DVD was not encoded with a region flag. This way, it will pass the testing of any DVD player and, that is, you can play it in any region. Although your DVD player can read a disc from another region you still have to be concerned with the video format used to create the DVD. For example, Region 1 discs are made with NTSC while Region 2 and some region 4 use PAL. 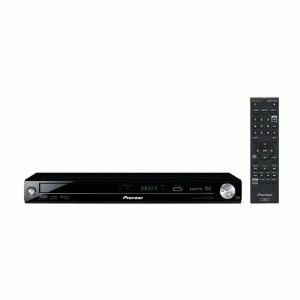 You will also need either a video format convert or a DVD player with a converter built in to make sure you can play discs from other regions. Now, as if this system of region encoding doesn't cause enough problems for the consumer not all discs of the same film with the same region are created equally. In region one discs intended for release in the United States are often not the same as those for Canada. The most infamous cases were with Pulp Fiction and Chasing Amy where the Canadian releases preceded the US release by a significant amount of time and the Canadian releases had a ton of extras while the US versions were fairly plain vanilla. The same can also hold true for region two where discs intended for Japan are often not the same as those released in the UK. So, when you buy a DVD you have to check the region code, the video format, the transfer specifics and the extras. One new aspect of region coding is Region Code Enhancement (RCE) This is deigned by the studios to prevent viewing a Region One disc on a Region Free DVD player. It will not prevent watching the movie on a MultiRegion Player. The reason for this is to prevent people from the popular practice of hacking the player to be able to view all region discs. So far some Warner Bros, New Line, Columbia and now select MGM have this feature. For more information click on the links to the left. With the addition of the Blu-ray format the region encoding scheme has been simplified. There are now only three regions provided. Blu-ray discs can also be produced without region coding which are readable on all Blu-ray capable players. There is still the issue of video format since even within a Blu-ray region some discs may be mastered with NTSC, PAL or other video formats.